> Amber sculpture "The Old Mill"
Amber sculpture "The Old Mill"
A unique author's amber-silver sculpture "The Old Mill". Blackened silver is combined with not debarked natural Baltic amber. 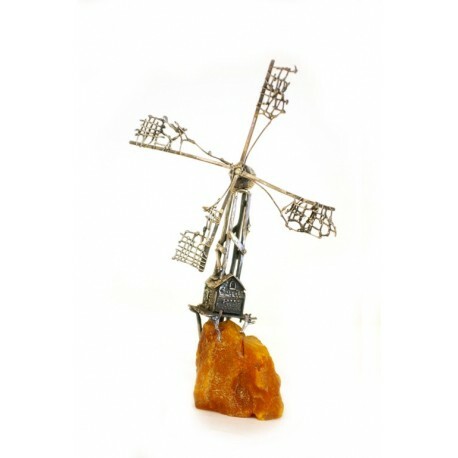 Eryk Popkievich, a participant and a winner of many jewelry exhibitions - one of the most valued jewelers, amber masters, creates unique jewelry and amber-silver sculptures. One of them - "The Old Mill" in the yellow amber nugget is combined with a precise silver mesh.